- Part of a comprehensive range of freewheel removal tools. - Oversized centre hole and thin wall design allows use without removal of cones and locknuts. - Investment cast and heat-treated for strength and durability. - One-inch base fits end of SR-1, FRW-1 Park tools or simply an adjustable wrench or bench vice. - The FR-8 is designed to remove four-notch freewheels from flip-flop BMX hubs with 30 x 1mm threads, such as the AC FAT compact. 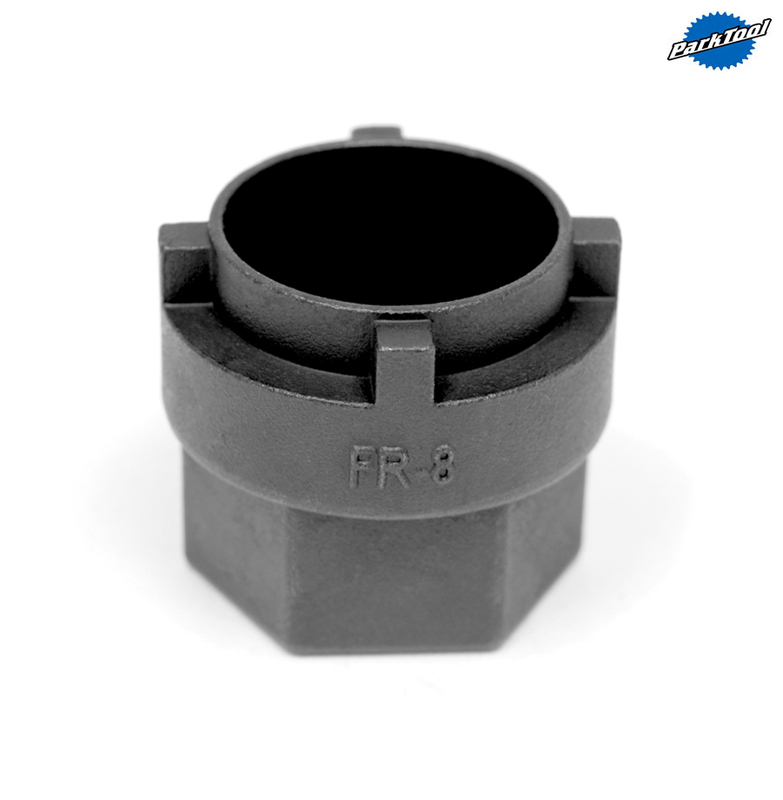 - The FR-8 has four notches approximately 25mm across measured inside to inside.